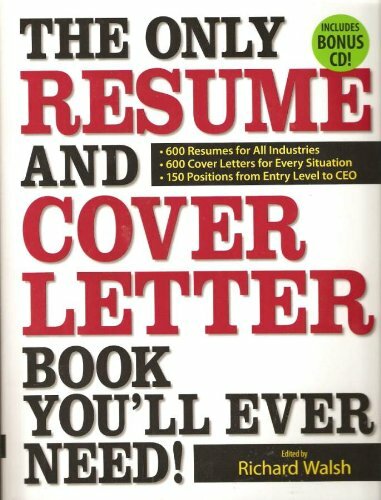 Cover Letters and Resumes – Does Paper Really Matter? Okay, you’ve updated your cover letters and resume. Now they are polished, bright and terrific. You’ve paid your local resume guru a few bucks to make sure you’ve got smooth sailing to your next job or career. He wrote you a killer objective statement and put the latest buzz-words into these finely crafted pieces of literary art. You’re ready to go out and conquer the world now, right? There might be a few details you didn’t quite get to while preparing to conquer the Earth. Let’s talk about paper first. What is the first hurdle you’ve got to overcome in this process? It’s not a tough question, but this one gets many job seekers right out-of-the-gate. You’ve got to survive the beauty pageant. This is the first glance and looks are everything. Pretty, “conforming” submissions make it – ugly ones don’t. You’ve got to survive that first, potentially fatal gaze. At this juncture, employment pros aren’t looking to find qualified people – it’s far easier to find the ones that sent in cheap photocopies or had their masterpieces printed on chartreuse-colored paper. This is a time you DO NOT want to stand out or be noticed. If you get noticed now, it isn’t for a good reason. So, what kind of paper are you submitting your presentation on? Are you using an original, laser-printed document? How about paper quality and color? These are small points, but critical ones. You should see what HR and other hiring specialists get every day. They receive some wild submissions from “serious” candidates. Let’s not make those same mistakes. First, we need to get your presentation past the reviewer who will toss your Picasso in the not interested pile as fast as you can say: rejected. They don’t need a good reason to dislike your documents. If they don’t look “worthy” of consideration, they will get tossed. That’s what these people get paid to do. This isn’t personal, but it is life, reality and the way it is in the business world. These are things that speak volumes about you without you ever being seen or heard. Use cheap paper and the consensus will be that you are not a serious candidate. So, use the highest quality paper you can afford. Ideally, a 25 lb. bond with high cotton content and watermark says you’re serious and a winner. By the way, make sure the printing is on the correct side of the watermark and that it is right-side-up. It is easy to print on the wrong side or upside down. Color choices are white, white and – oh yes – white. You never know when the person doing the initial culling is a guy with a crew-cut, glasses and wearing a button-down shirt every day. ANY color other than pristine white is a mistake, simply because you don’t know the details about who is reviewing your submission. Using another color means you’re choosing to allow a super-conservative type to pass judgment and decide you don’t need to work there. In some professions like health care, accounting and legal, there has never been any other color but white for cover letters and resumes. Preston Mars is an award-winning career strategist and employment writer. In 23-years, he has authored professional, job search documents for over 14,000 clients. Would you like to write cover letters that get incredible results like Preston Mars? Easily and quickly – with no guesswork? This is his personal, secret weapon to writing cover letters that get read and produce interviews. 93.7% of his clients will tell you this is an absolute must have! Click here to find out: http://2snip.com.